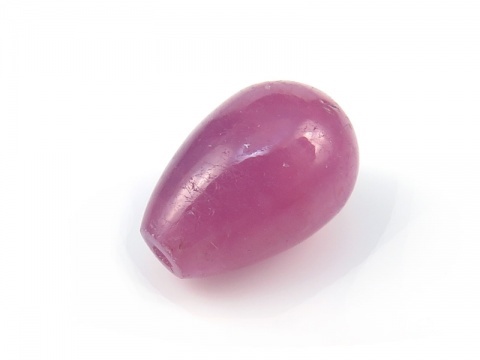 Ruby is the red variety of corundum, an aluminium oxide. 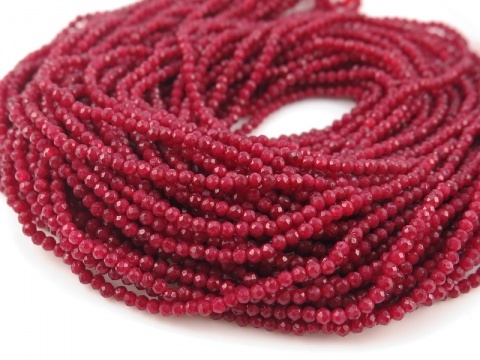 You should assume that all rubies on the market have been heat treated unless stated otherwise. 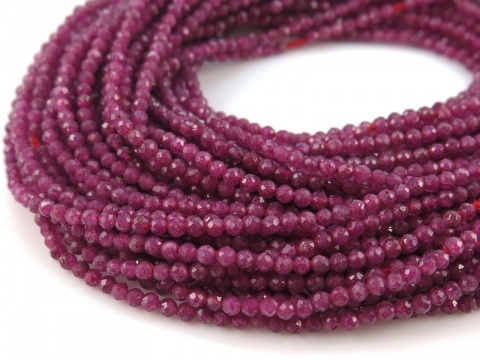 Burmese rubies are considered the rarest and most valuable due to their pigeon red colouring (value is determined by clarity and colour). 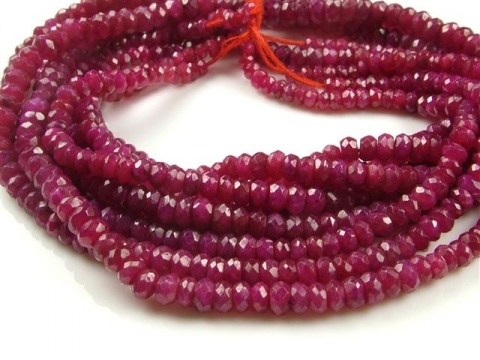 Rubies tend to be included and eye clean gems are very rare. 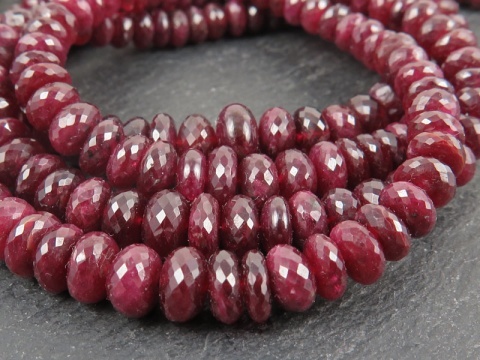 Be wary of cheaper transparent ruby beads - these are often natural rubies which have been glass filled. 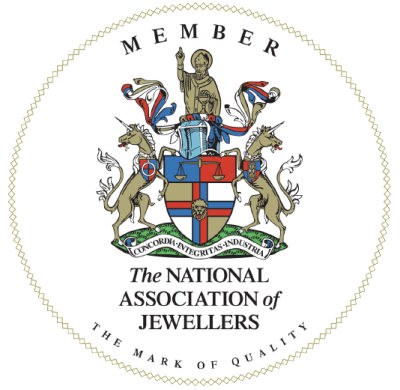 Birthstone for July. Hardness: 9 (Mohs).